Huawei wants to replicate the success of the Huawei P9 Lite and today it has been known that it also prepares the Huawei Mate 9 Lite, a less powerful and cheaper version of its latest flagship. Until today, we knew that the Huawei Mate 9 is going to be sold in two different variants, one of which will be sold at a very exaggerated price of € 1,350 (here the article). Let's uncover the specs of this new, more economical version together. 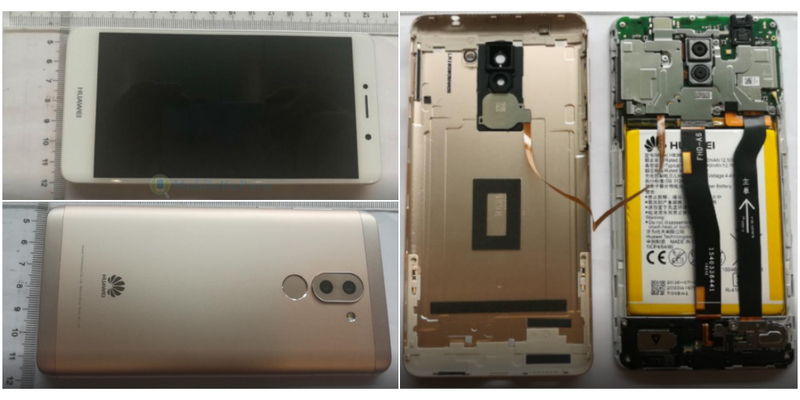 The Mate 9 Lite recently appeared in an FCC certification, presenting some photos with the same aesthetic style of Mate 9 (unibody aluminum design, and with hardly any change in size). Otherwise, it comes with a 5.5 inch FullHD display (with coated pixels on a smaller surface to generate a higher pixel density) and an unspecified Kirin processor (under the Mate 9 hood we find the Kirin 960 at 2.4 GHz, so we would expect a Kirin 950 in this case). To complete the picture, we will have 3 GB of RAM (4 GB for the standard version) and 32 GB of internal memory expandable through microSD. This smartphone would also include a dual rear camera of 13 megapixels and a front camera that stays at 8 megapixels (with different sensors regarding Mate 9, which integrates 20 megapixels and 12 megapixels, respectively), with LED flash and fingerprint reader. We still do not know the price at which the Huawei Mate 9 Lite will be sold (although we can compare it with the difference between the Huawei P9 and P9 Lite). The Huawei Mate 9, in the standard version, has a cost of more than 700 €, reason why a more reasonable price is expected, only to satisfy the economic necessities of all. We expect, therefore, a price that will be between € 200 and € 450 (a fairly wide range). In addition, this product will come with Android 7.0 Nougat and should be ready for this end of the year (and then we will know if the Huawei Mate 9 Lite is as successful as the P9 Lite).